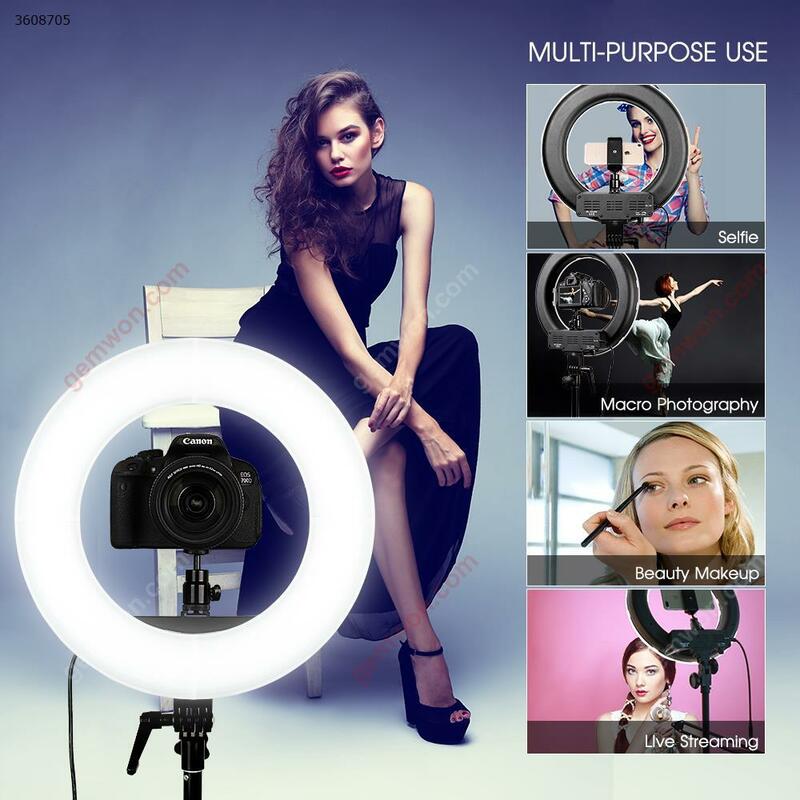 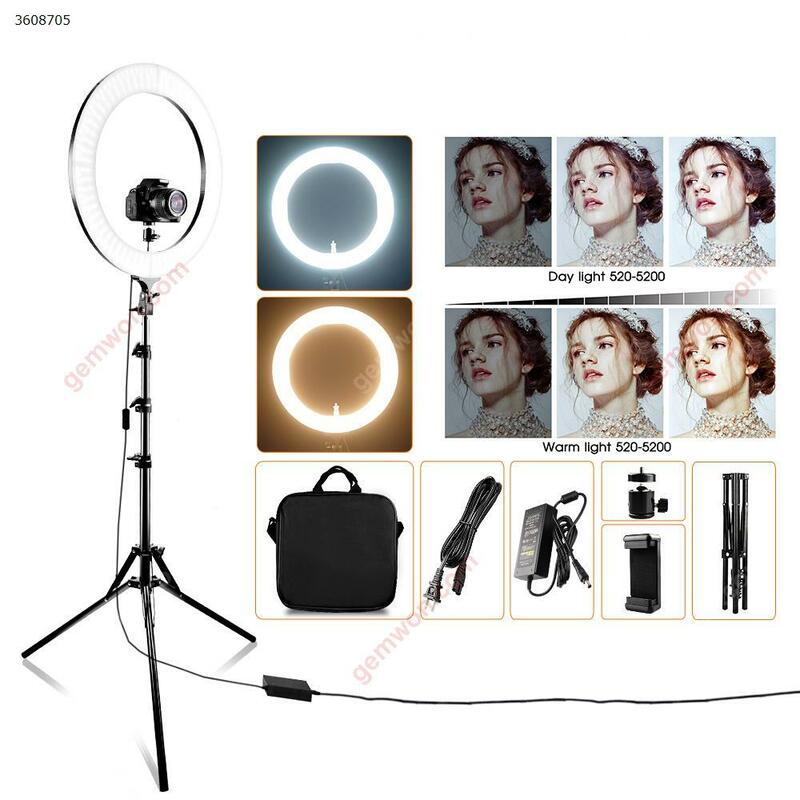 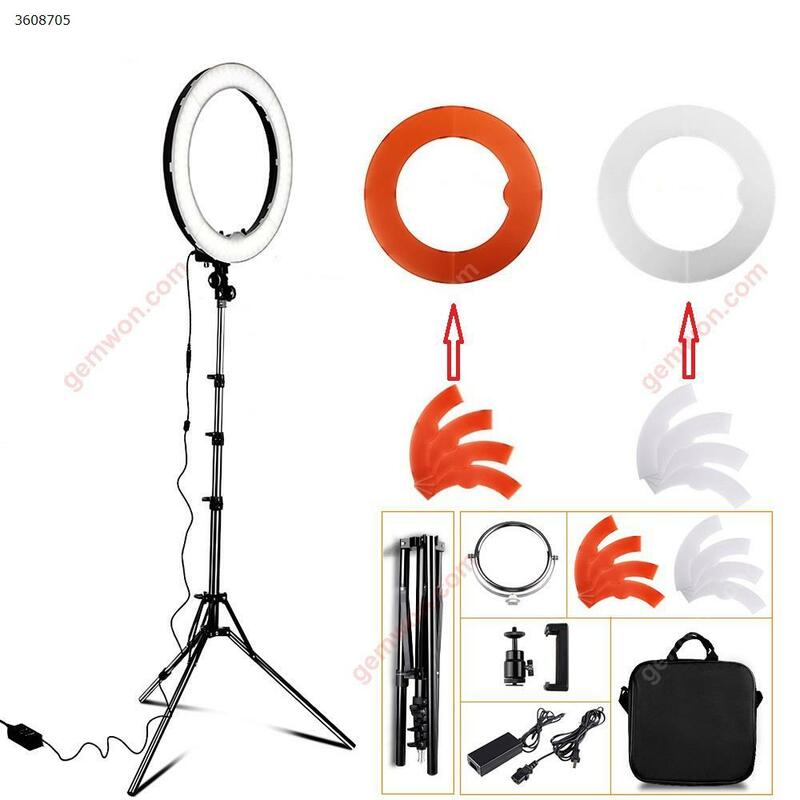 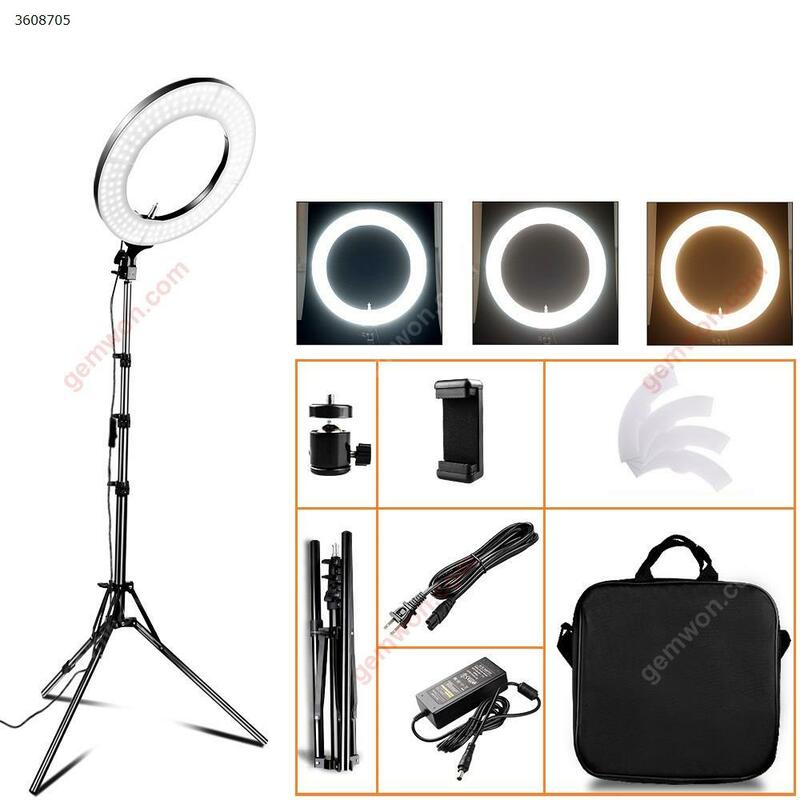 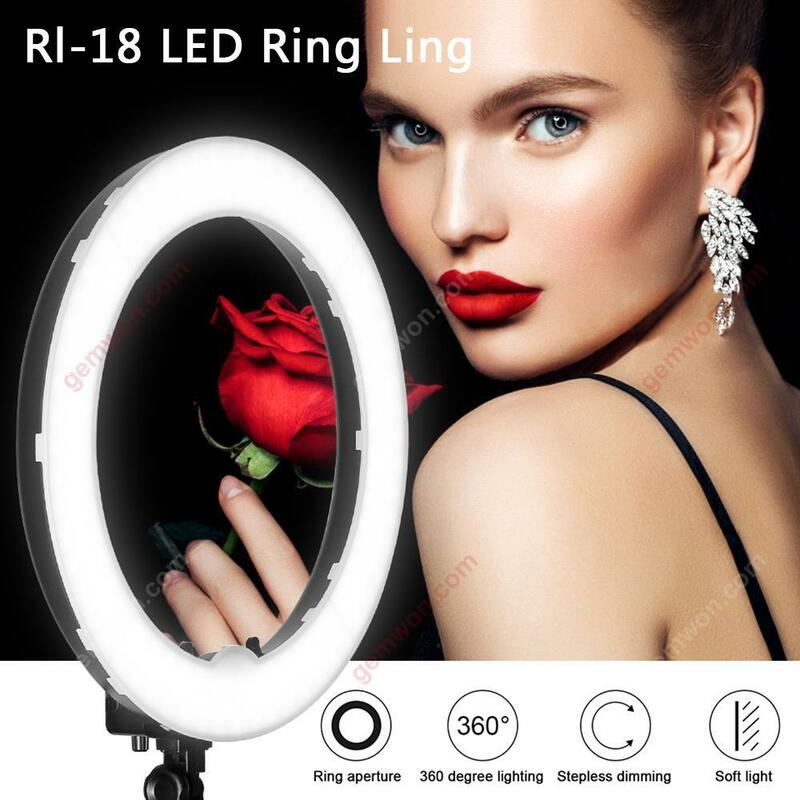 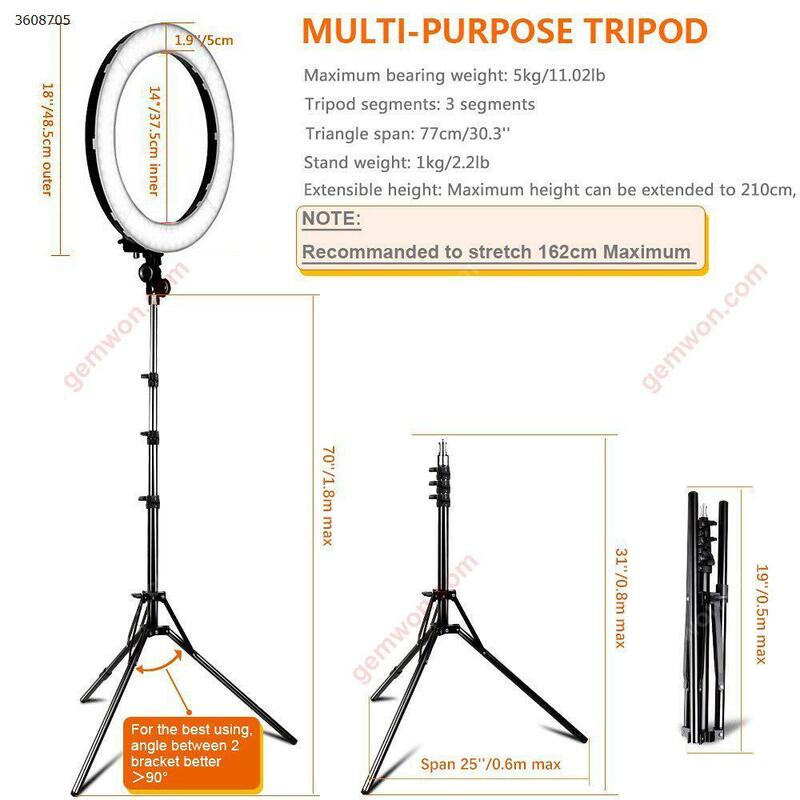 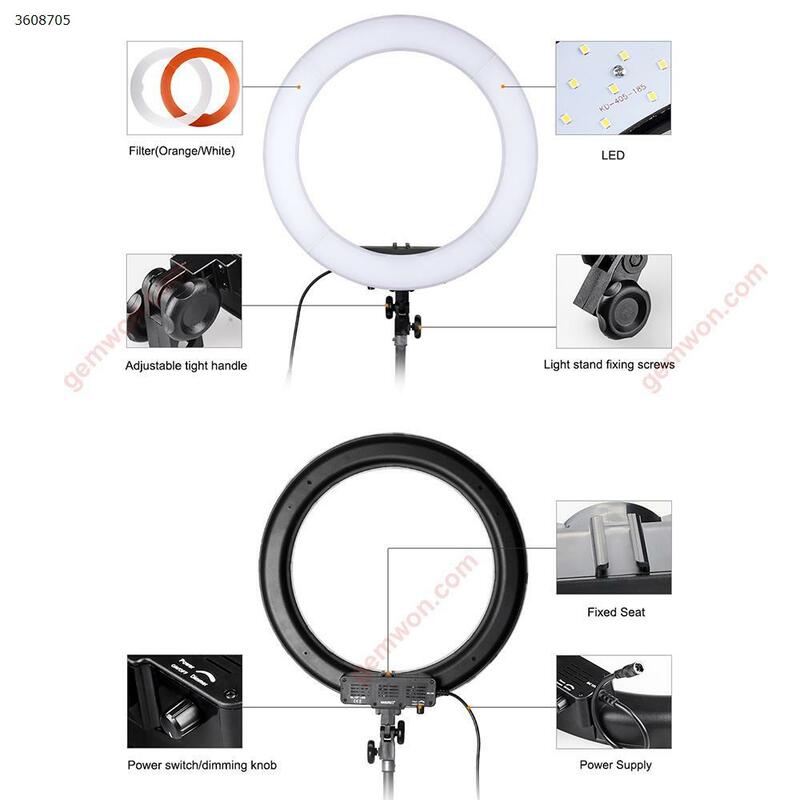 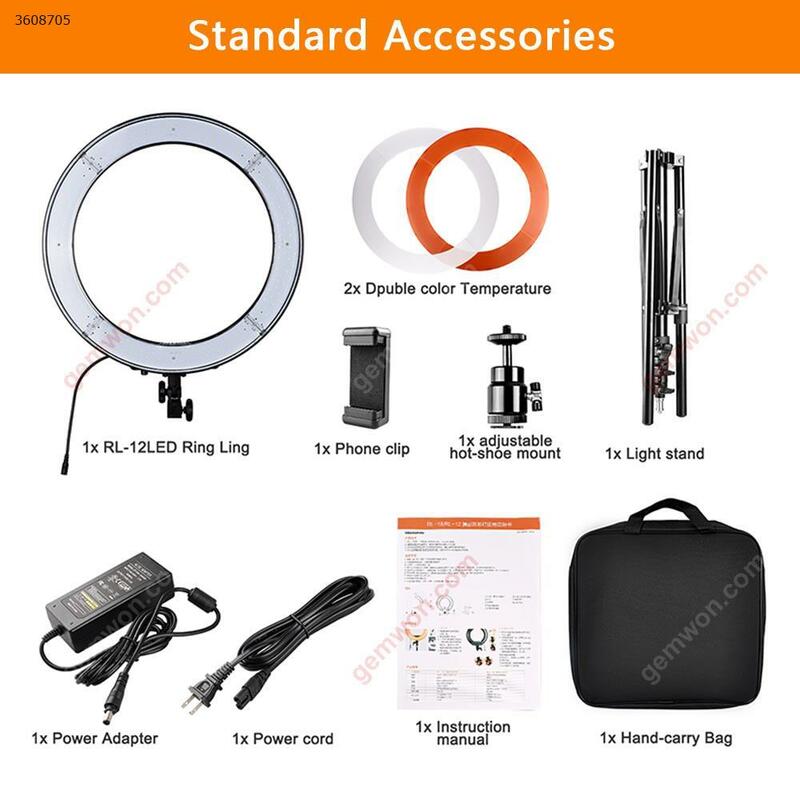 1.Standard Accessories:LED Ring Light ,Color filter*2 （Yellow and Transparent）,Phone clip, Adjustable hot-shoe mount, Light stand, Power adapter, Power cord, Instruction manual, Hand-carry bag. 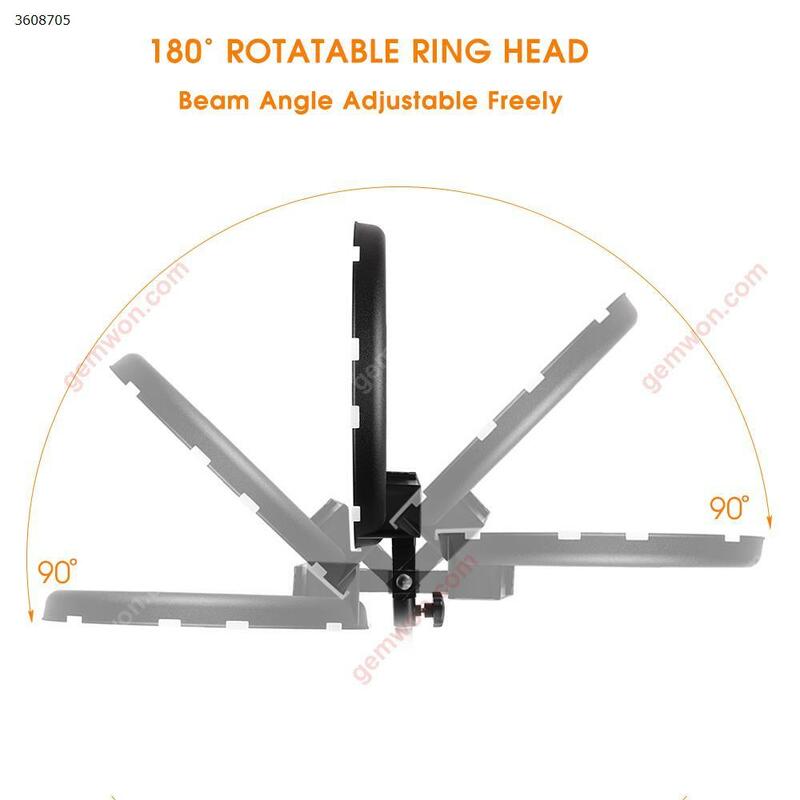 2.180°rotatable ring head,Beam angle adjustable freely. 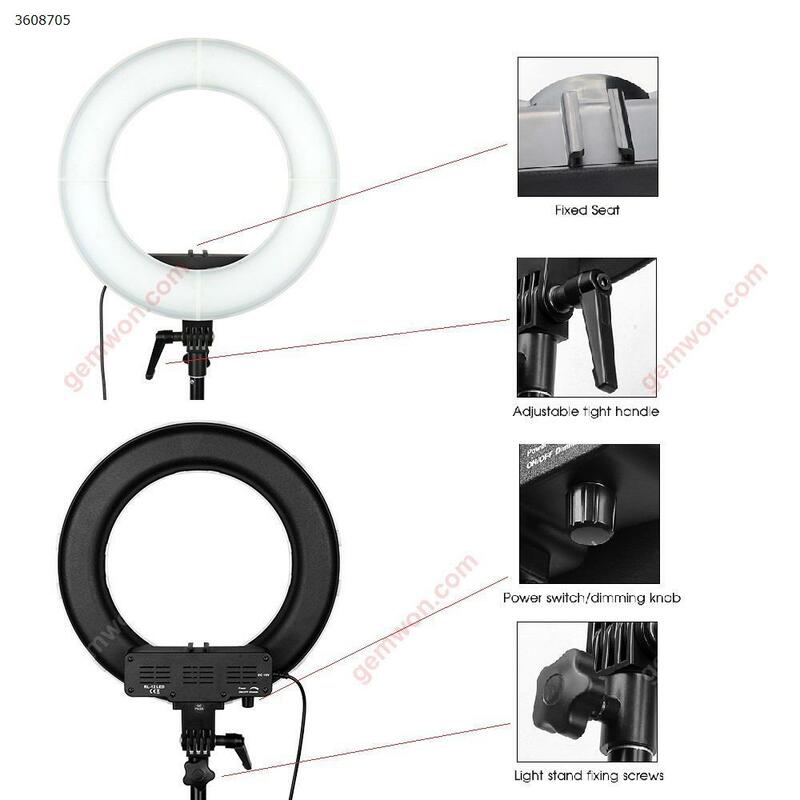 3.High light transmission diffuser, soft and bright, enhances facial light. 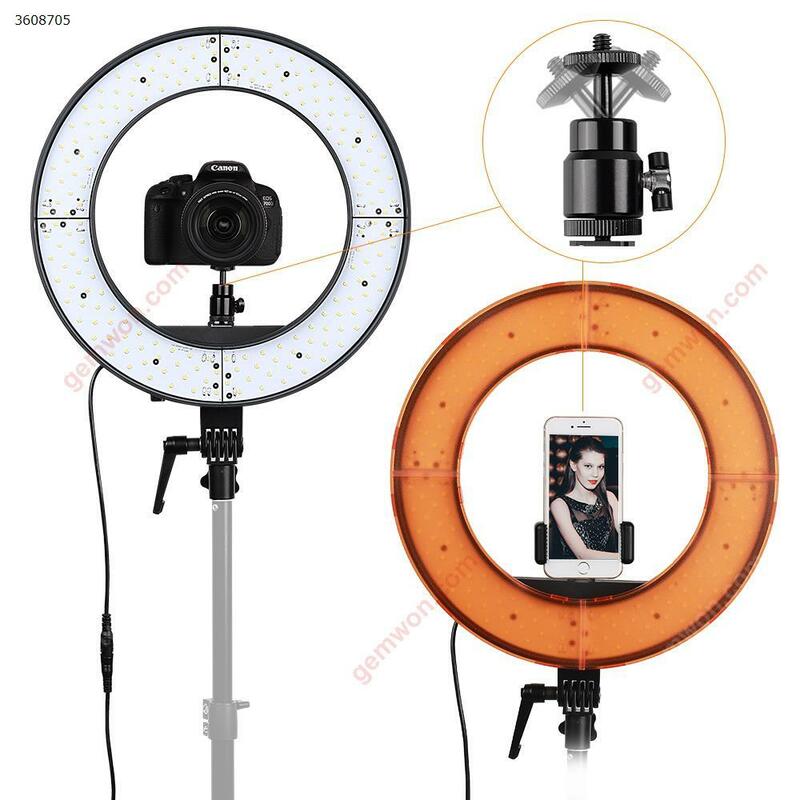 4.Up and down double hot-shoe design, mobile phone and camera can be installed at the same time. 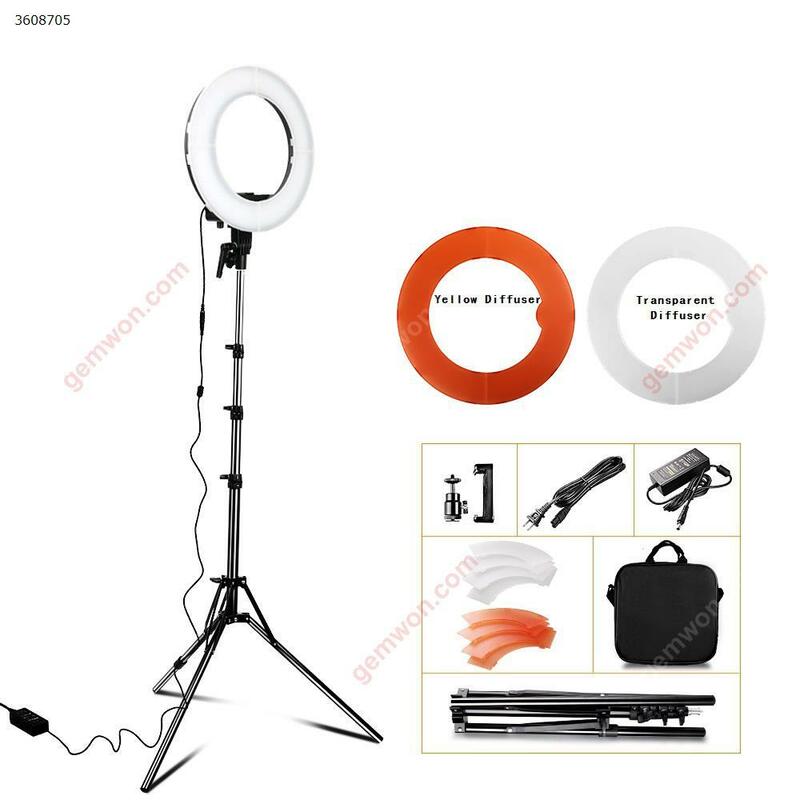 5.For the anchor live broadcast light, online store merchandise photos, children's photography, nail art, beauty, a multi-purpose!